With the new season of TableTop started we thought we would take a look at our collection of games that are coming up in the new episodes. 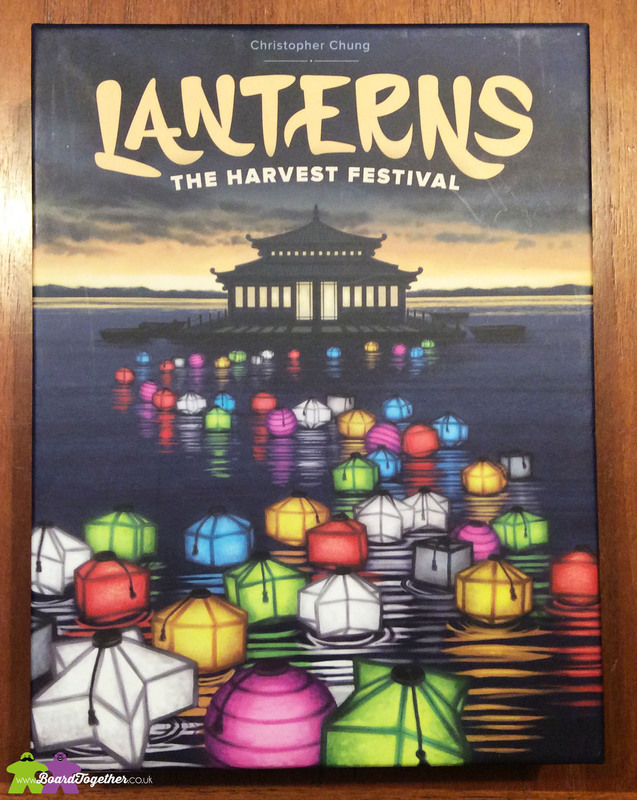 The Lanterns episode is already available for free, however to see the rest of the season you will have to join a paid for subscription from Legendary Entertainment. 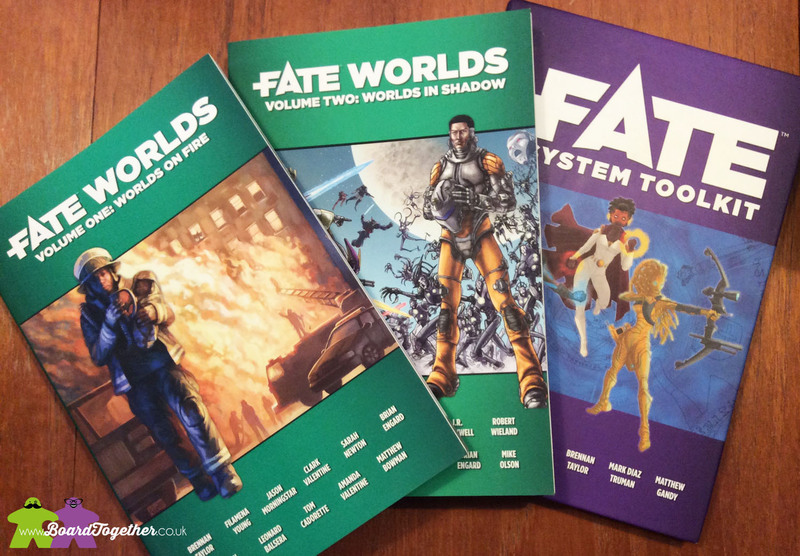 Bit of a bummer, although the whole of the new TableTop series will be available for free in January 2017. Will Wheaton and the TableTop series has really helped put the board gaming hobby on the map. In our house alone it helped Mike get Tamz more interested in playing games. 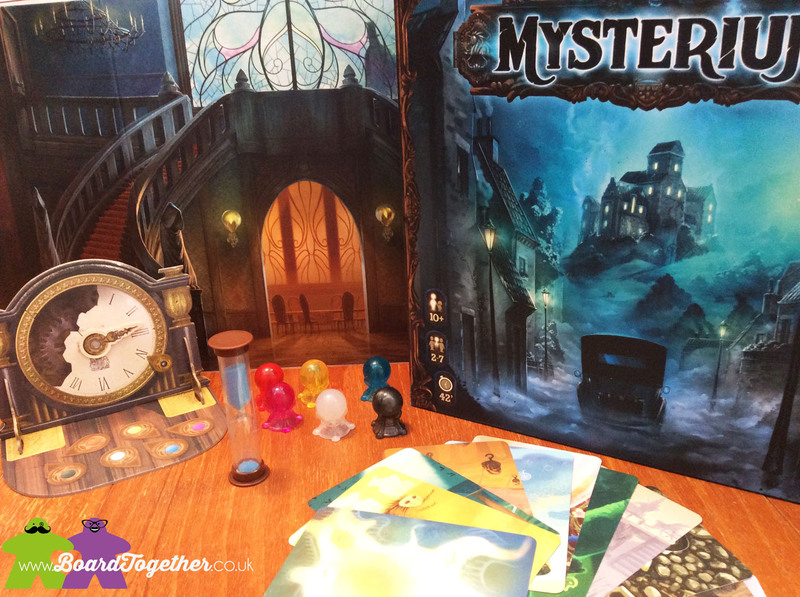 We love watching the shows together – it is great to watch a video of the game being played and then jump right into playing it yourself with a lot of questions already answered. 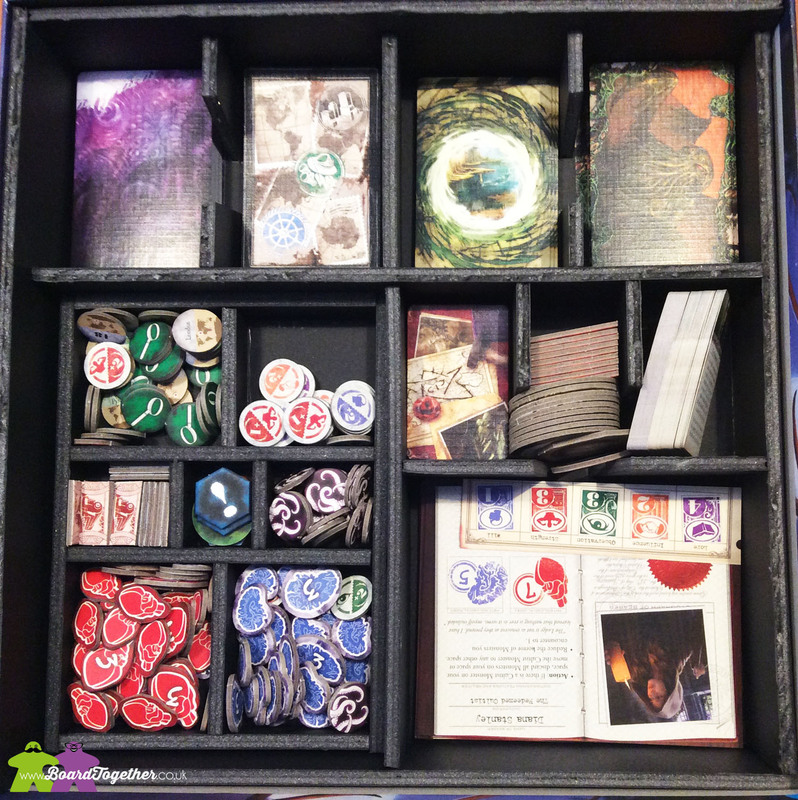 We have just over half the games reviewed or to be shown in our collection which shows the TableTop Effect is strong with us. You can guarantee any game shown on TableTop will be sold out for a few months following the episode. Mike had problems finding Tsuro and Tamz reeeeeeeeally wanted Takenoko but we had to wait a while to get them. It was worth the wait though as they are great games we play often! This year we looked at the list of games being played and giggled at how many we already have. This was one of those games that I really wanted when it was released as a brand new third edition. 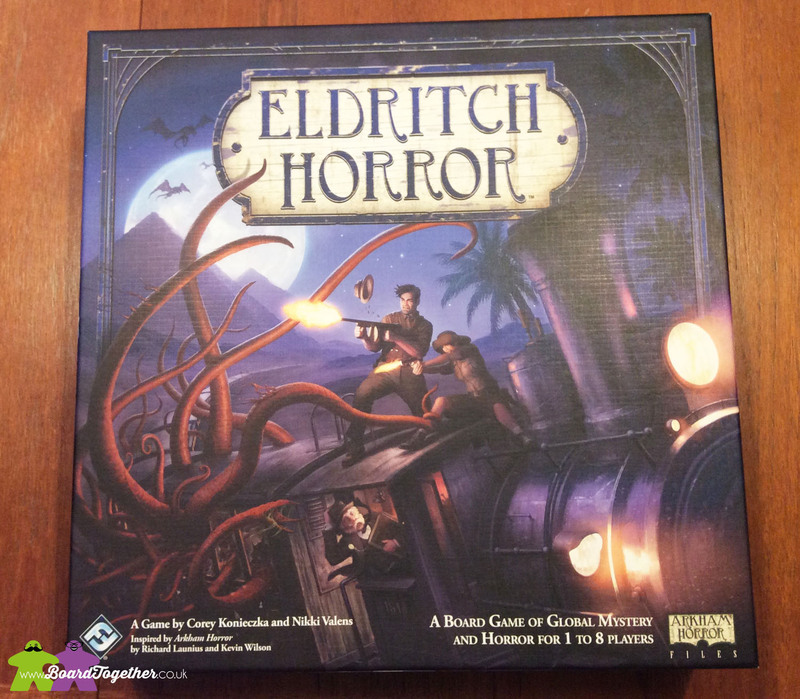 Every time I saw it at the local FLGS I thought about picking it up but there was always something else that I wanted. Then in the news I saw the Fantasy Flight Games and Games Workshop were splitting up and that all their games based on GW IPs would stop production in February. We were on holiday at the time so we picked it up ASAP. 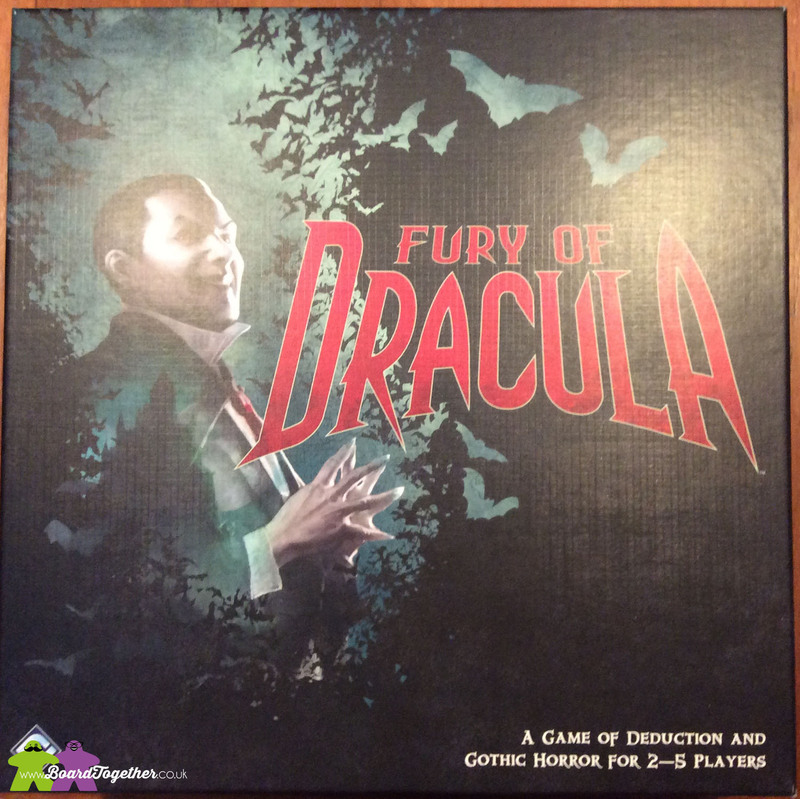 It’s a great hidden movement game where hunters try to find Dracula as he moves around Europe. Hidden traps and an intense cat and mouse feel makes this game a great experience and well worth picking up. So with both the game going out of production in February and almost every game selling out after its been on TableTop if this game interests you at all PICK IT UP NOW! The first I saw of this game was beautiful pictures on social media and I knew I wanted it without learning anything else about it! It took a long time to pop up in our local gaming stores so I kept staring longingly at those pictures online! Eventually I got my mitts on a copy when we ventured across the boarder to Wales to our not so local but still friendly gaming store!! It has to be said, the first few times we played this game I did not really like it and was a little disappointed. Not sure why, I just didn’t get on with it. These days though I have my strategy sorted and I really enjoy playing it. It is easy to learn and my Mum even understood and got competitive within one game! 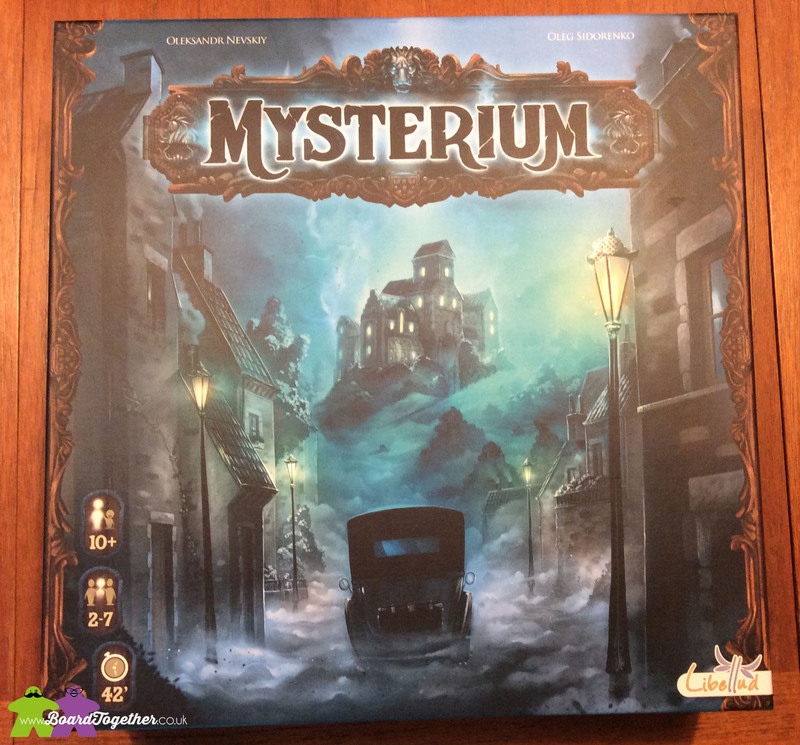 In Mysterium one player takes on the role of a Ghost that cannot speak but can try and convey who killed them by sending dreams, in the form of images, to the group of physics who are visiting the mansion where the ghost was killed. This is a great game and a lot of fun. If you’re the Ghost you can listen as the players go off in a tangent that you were not expecting. As an example one of the murders was a magician so I played a card with a white dove, little did I expect them to start suspecting the hunter because of the bird. Not being able to speak and trying to convey clues really makes this game and it would be great at a dinner party. We own this game, in fact we picked it up for a large family holiday after hearing great things – it won Speil Des Jahres 2016 after all. Yet it remains in our shelf unopened waiting for the right time to play! Oops! 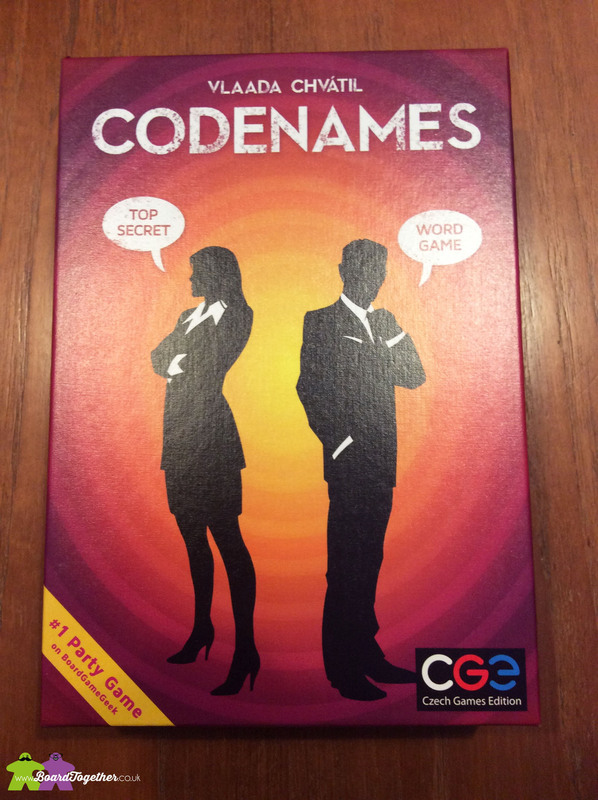 Do we recommend Codenames? Not sure we can answer that yet, but it does deserve its place on TableTop! Yay, another roleplay session. If you are interested in Roleplay there are numerous systems out there you could try. 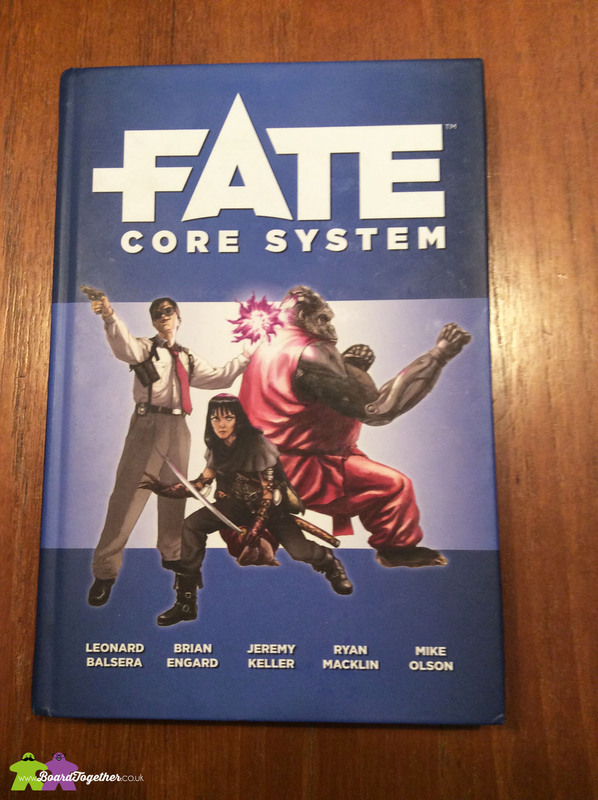 Dungeons and Dragons, Savage Worlds, Shadowrun, but if you are just starting out there are a few systems that are easier to learn that FATE. Simple easy to learn and can play in any setting you would like. There are even rules for creating a would with input from the players and the GM together. If you are interested in Roleplay and want to know more about it I would suggest watching Titansgrave, also run by Wil Wheaton, using the Fantasy AGE system. We don’t own this game but we have played it with our friends Kate & Johan. It is a co-op game about saving people from a burning building. We may have lost and too many people were burnt to a crisp but we had fun playing it! Now our friends have moved to Australia it is on my wishlist of games to purchase for our collection. Travel the world and be eaten by huge tentacled beings from another dimension. This game spans the globe as the detectives travel the globe looking for clues to stop extradimensional beings from taking over the world. Travel by train, look for clues, die horrifying deaths! All in a days work in the world of H.P. Lovecraft Cthulhu setting. This is one of those games where your players really have to be in the mood for description and storytelling. If your group is more into just reading the rules on cards and not the fluffy bits I would give this one a miss. The whole thing about these games is the setting and the atmosphere. Without it they can come off a bit dry. For a while this was our go to game as a couple. We may not play it all the time anymore be we are always pleasantly surprised when we do. Very similar to MtG but easier gameplay and set in space. This is one of those games that just ‘clicked’ with me and I can happily kick arse when playing this! Another bonus is that Mike and I honed our skills playing the app version so when we play the actual game we are on point and play much better. 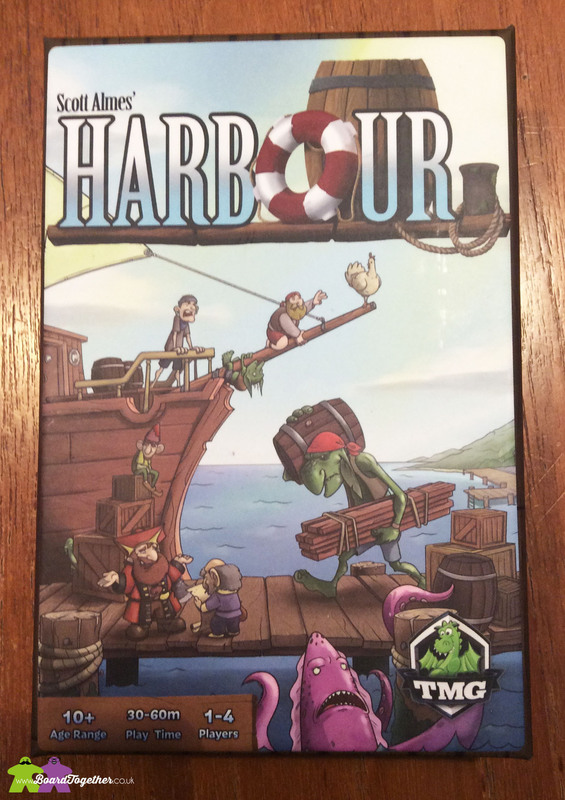 This game was given to us by our friends Kate & Johan and it has to be said we were a little apprehensive, after one game though we applaud their taste in games! 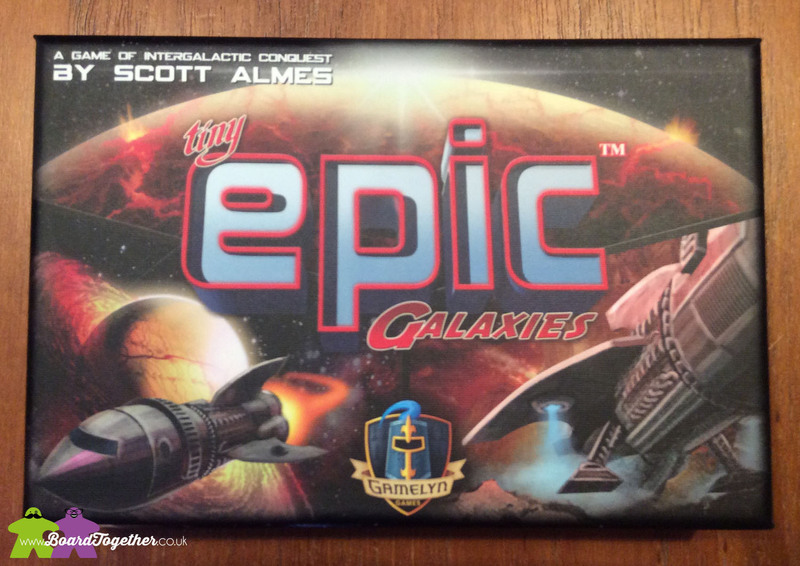 We know the Tiny Epic games get a LOT of love through Kickstarter, however we just purchased this one at a FLGS. And boy are we glad we did. It draws a lot of parallels with the game Impulse but I find it way easier to wrap my head around. 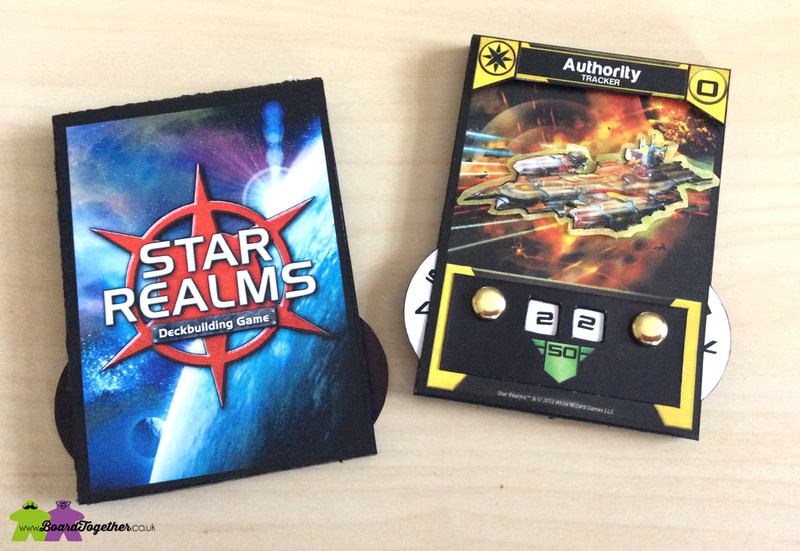 Exploring space, colonising planets and managing resources with your cute little spaceship fleet. Great fun. 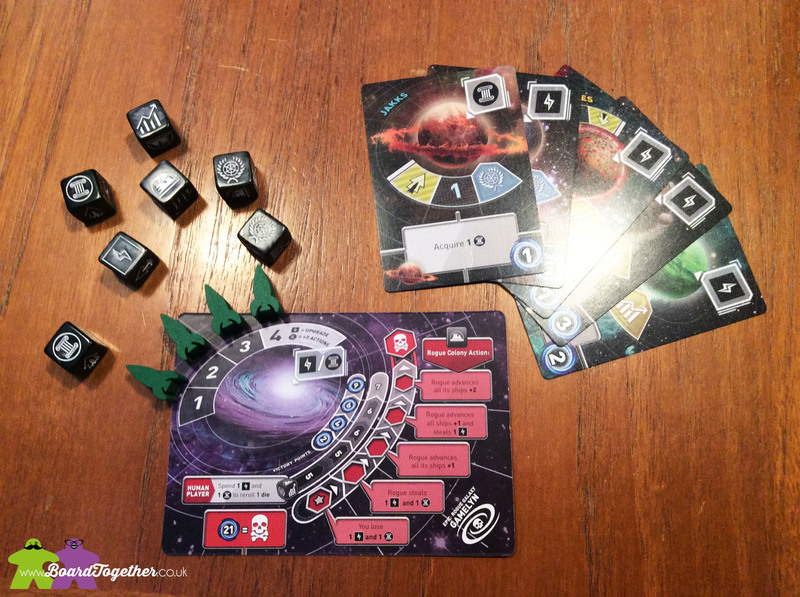 So much fun we totally backed the Beyond The Black expansion the day it was released on Kickstarter! Recommend? You bet, one of the better space themed games available. …or as I like to call it “Bluff you way to death”. One of the players is taking the Adventuring Party down into the dungeon and it might just be you, but how far are you willing to push your luck. 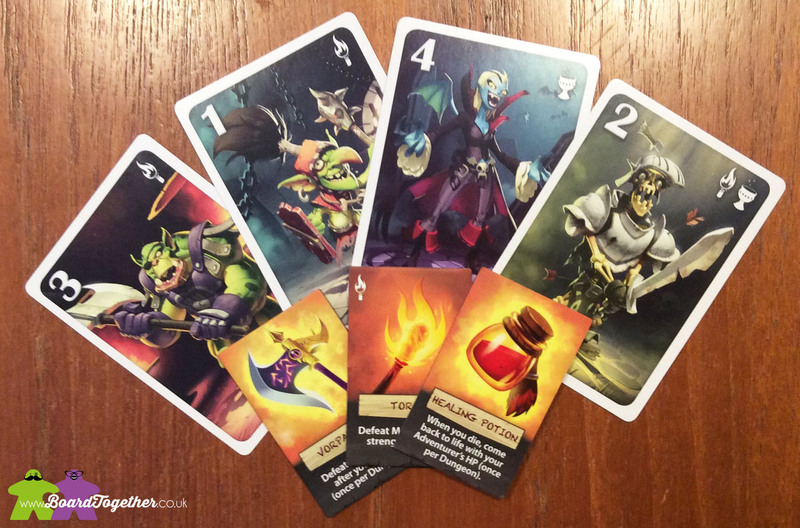 Each player takes turn examining a well prepared adventure and sacrificing items that you don’t think you will need in the dungeon. “Who needs a bow in a Dungeon? I can do it without that! 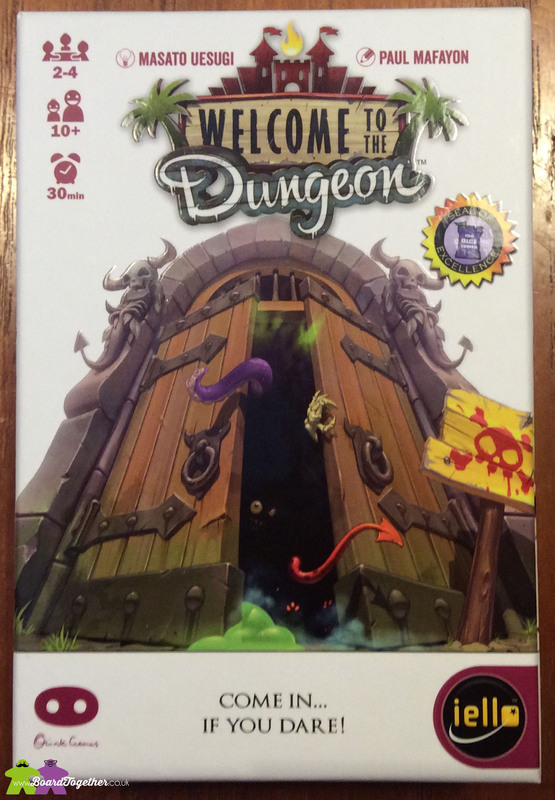 That in a nutshell is welcome to the dungeon, a push your luck game that can get your adventurer killed. A fun little time killer. 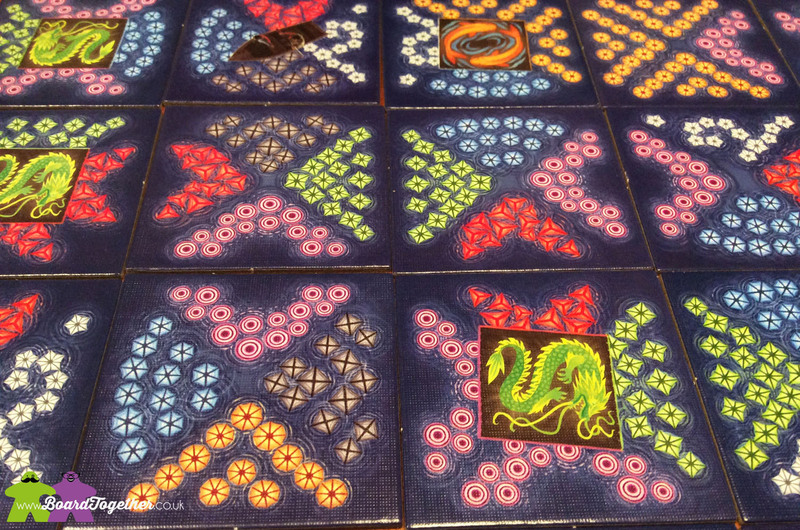 So what games have we played this year that did not make it to Tabletop Season 4 but we still recommend? This game was kickstarted last year. 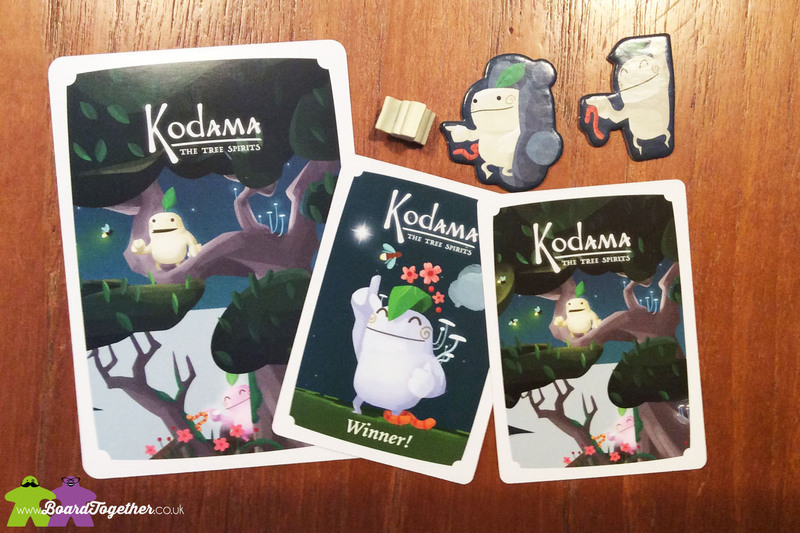 I fell in love with the adorable artwork and couldn’t wait for it to turn up in the post. The object is to place cards to build a tree and score points for the items on the cards, like glow worms, mushrooms and flowers. 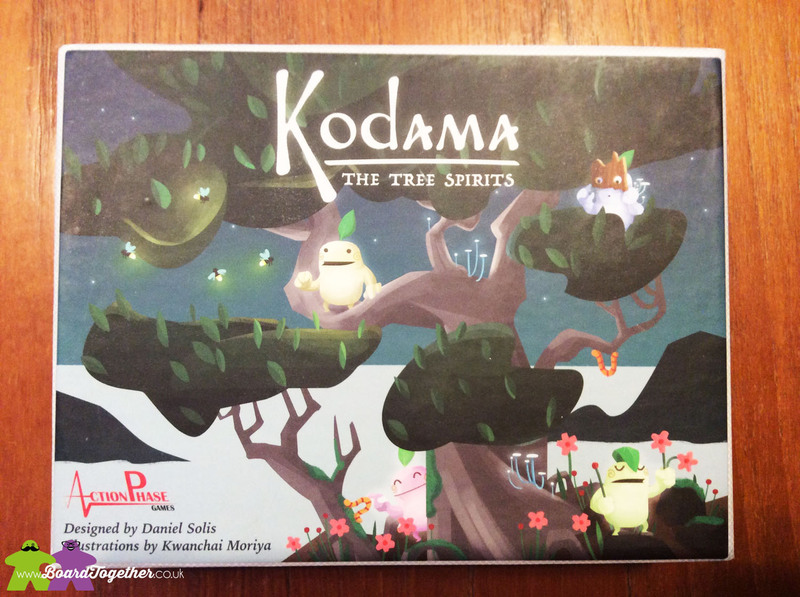 If you score he most points your tree is the best and the Kodama tree spirits will pay you a special visit. If you see this game in the shops, totally buy it, especially for your girlfriend/wife she will love it, I do! I really put this game down when it was first announced that there would be a second edition. 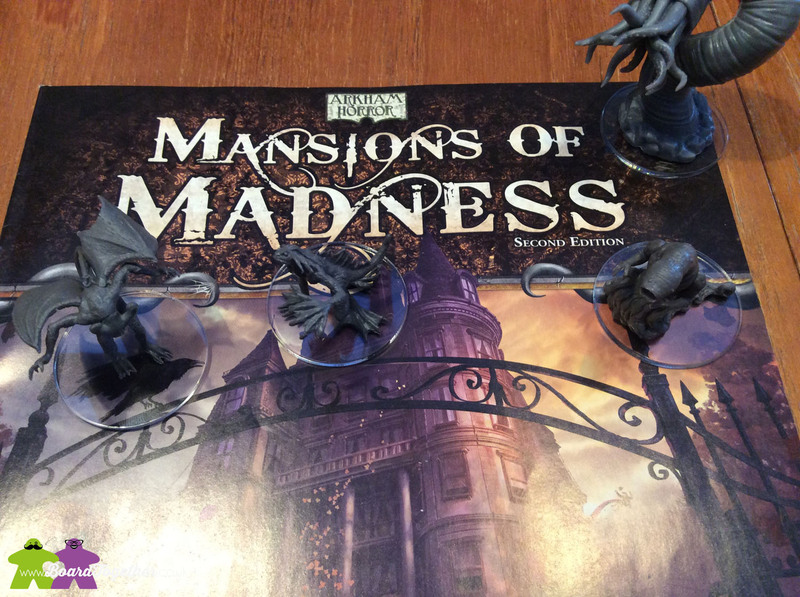 I loved the first edition but the setup time was a nightmare and one mistake could kill the whole game. 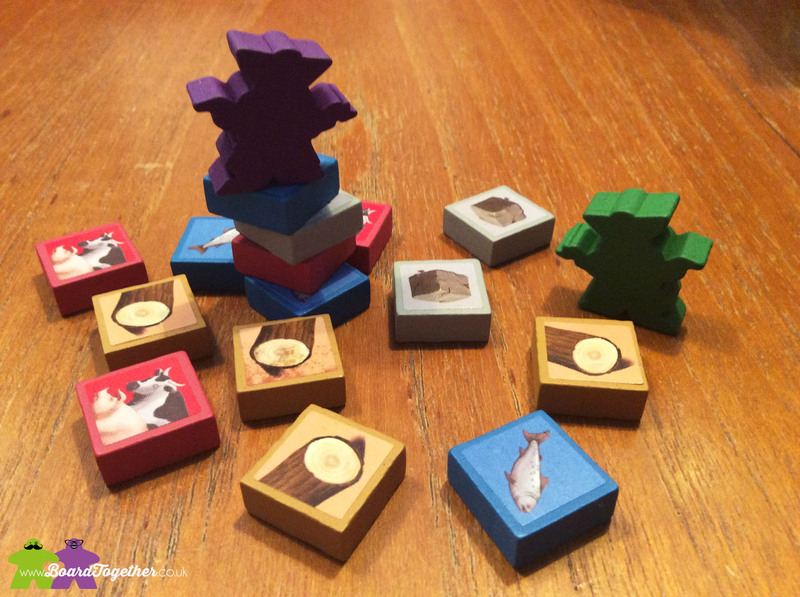 However the Second Edition allows you to play in minutes and is really easy to pick up. The app really adds to the game and I have to say it made me eat my words. I’ve even changed all the annoying bases on the monsters, just look at this post to see them.